Bathrooms are difficult to clean. They cling on to so much dirt that it takes time to get rid of everything. If you are faced with such a challenge, don’t forget to take advantage of our bathroom cleaning service in Hendon. We are qualified cleaners who know everything about deep cleaning. We have many years of experience in cleaning residences. We are equipped with the best cleaning supplies and we know what we are doing. We can get your bathroom sparkling. It doesn’t matter how big or small it is. We will work our magic. Give our company a try. Bathrooms are our specialty. We can prove you that with our bathroom cleaning service in Hendon. The cleaning usually goes smoothly. We begin by vacuuming the bathroom as necessary. We move on to cleaning the bath tub if applicable. We use our own cleaning equipment. We clean shower cabins from top to bottom. We spray them with appropriate cleaning solutions and scrub our way around. We also clean the glass. We dry everything after we finish cleaning. The toilet gets much of our attention too. We clean the base, the sides, the lid, seat, the bowl, under the rim, as well as behind the toilet. That area rarely gets cleaned. But no worries. We will take care of it. Another thing that we clean is the sink. We take our time. We not only clean the sink but also the area underneath. We remove cobwebs, soap scum, limescale, grime and hard water deposits. We wipe down all mirrors. Lamps and shelves are also dusted and wiped down. In the end, we clean the baseboards and the floor. Our bathroom cleaning service is thorough. 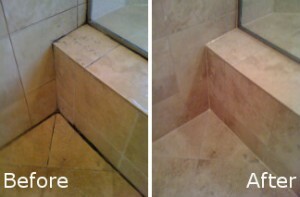 We will leave your bathroom gleaming. For more details, get in touch with us over the phone. We know what we are doing. You can rely on us.